This film is a part of a Double Feature with JAWS. When two movies that are screening in the same theatre are grouped under the same thematic heading, one ticket is good for both features when viewed back-to-back on the same day (except as noted). Anthony Perkins, Vera Miles, John Gavin, and Janet Leigh. If you’ve never experienced this landmark thriller, and have somehow avoided spoilers until now, you might consider living under a rock until tonight rolls around. There’s nothing more exciting than uncovering the secrets of the Bates Motel for the first time. 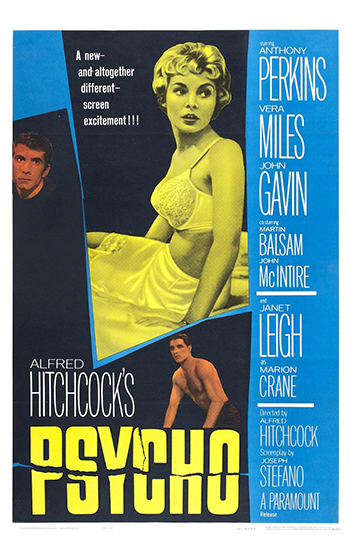 And remember – it is REQUIRED that you see PSYCHO from the very beginning!